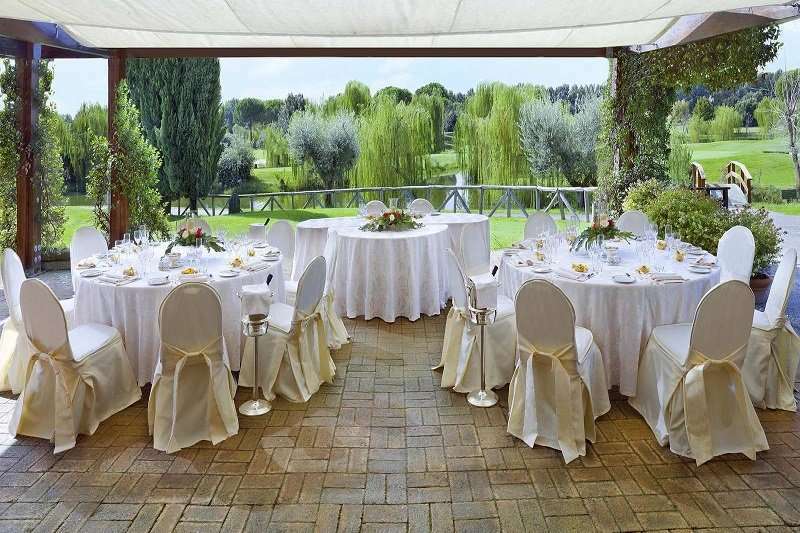 Set within beautiful surroundings just outside the city of Rome and featuring the superb Parco de' Medici Golf Club on site, the Sheraton Golf Parco De' Medici Hotel & Resort is the ideal location for a relaxing stay and a fantastic golf getaway from the tourist traffic of the ‘Eternal City’. 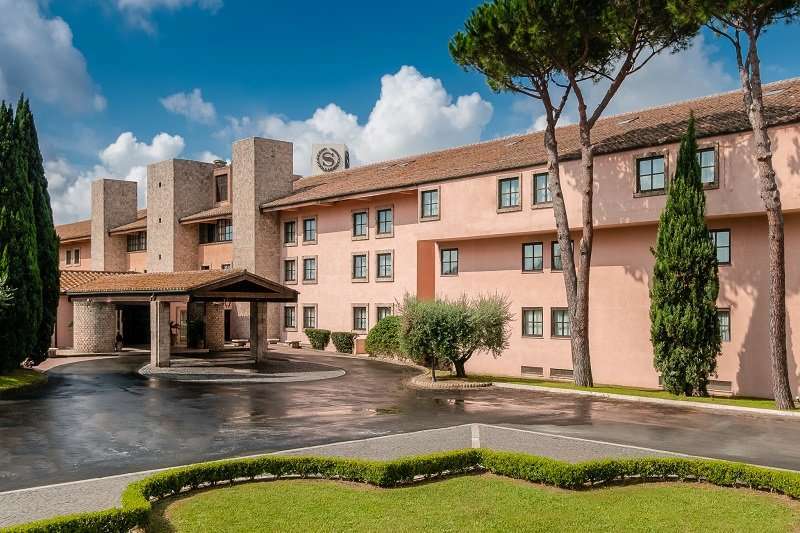 All travellers are able to access this fabulous hotel with ease as it is just kilometres away from the Fiumicino and Ciampino International Airports, as well as the city centre. 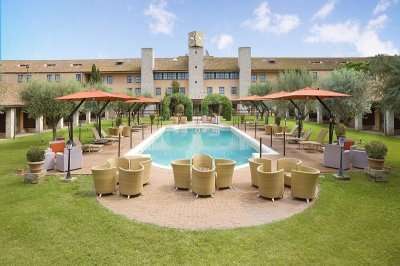 Just a few minutes away from the congress area of the EUR district and from the New Roman Trade Fair, the Sheraton Parc De’ Medici Rome Hotel makes the perfect base to explore the captivating city of Rome. Sun worshippers here can find their paradise at Fregene Beach, just a 30-minute drive away from this hotel. The entire family can enjoy a day of thrilling fun at the Bioparc, also just 30 minutes by car. History fanatics can experience the famous Colosseum and Forum Romanum, both 30 minutes away by car. Guests need not fret about the journey to the centre of Rome if they are without their own transport; the hotel offers a convenient shuttle bus service so you can be taken into the heart of one of the world’s best love cities with ease. 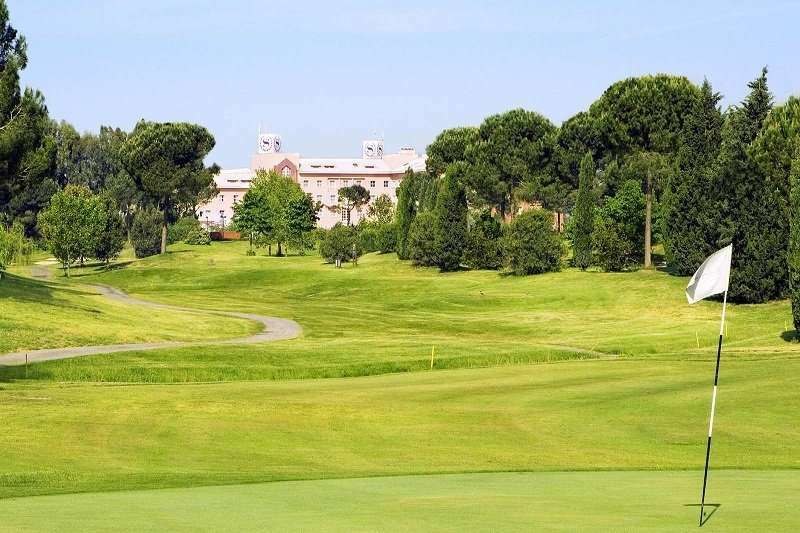 At this hotel, not only can you explore one of the most beautiful cities in the world, but you can also play some of the best golf courses in Europe with ease. 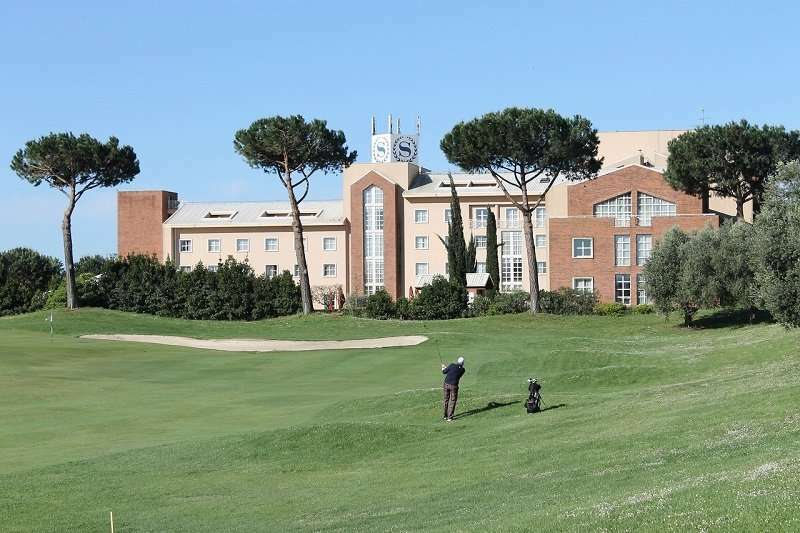 Conveniently for golfers, this hotel neighbours the 27-hole Golf Club Parco de’ Medici, a fantastic and truly unmissable course that can be experienced at your fingertips. 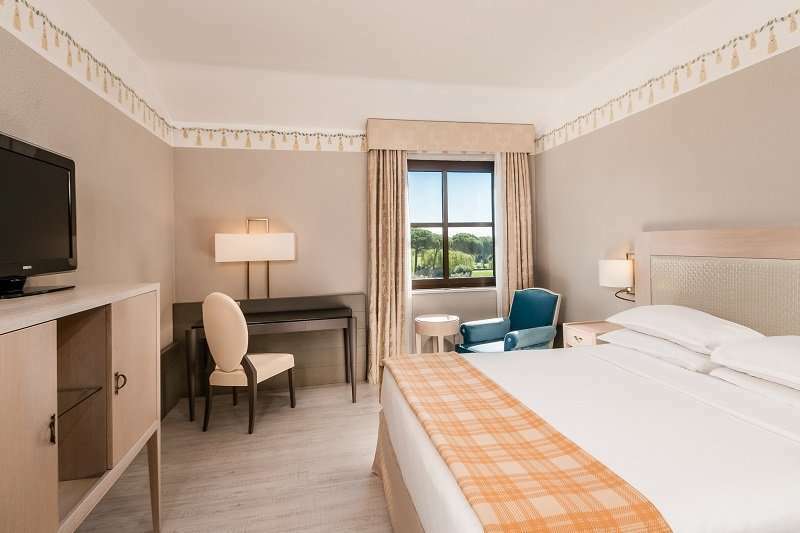 The Sheraton Golf Parco De' Medici Hotel offers 818 fantastic rooms, all featuring comfortable beds and superb views to ensure the perfect stay. All rooms here include spacious en suite bathrooms equipped with complimentary toiletries. Modern amenities provided include complimentary Wi-Fi, flat screen televisions and air conditioning. Room types vary from a superior double room to a presidential suite, therefore at this hotel you will always find your needs perfectly tailored to. Leisure facilities at this hotel are extensive, and include an impressive three outdoor pools, the perfect place to soak up the Italian sun. To keep fit when not challenging the greens of the Golf Club Parco de’ Medici, guests can enjoy access to the hotel’s fully equipped fitness centre, available 24-hours a day. The hotel also offers a wide range of dining options with three a la carte restaurants to choose from: the Savoia, Rinascimento and Dei Condottieri restaurants, all serving superb Italian, Mediterranean and International cuisine. 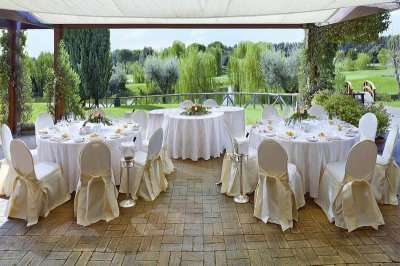 With such a variety of cuisine on offer, all tastes will be accommodated for here at the Sheraton Golf Parco De' Medici Hotel. Alternatively, this property boasts an impressive three coffee shops, all providing the perfect setting to enjoy a hot beverage over a light snack.